Fruit tree crops are very sensitive to soil and subsoil quality. The good development of crops both in quality and quantity will take place on biologically active soils with good water and fertilizer holding capacity. In order to ensure good Cation Exchange Capacity (CEC) linked to the clay-humic complex and a structure facilitating water management, it is essential to maintain the soils by regular contributions of organic matter that will generate humus. The soil life supporting the transformation of organic matters is crucial in these types of demanding crop systems. Nutritional balance is also a factor that should prevail in order to obtain a crop that can better resist more frequent weather hazards and pests that can strongly affect the crop. The need for major nutrients (N, P, K) is relatively high and their progressive availability must be favoured (extra N means a lack of fruiting and conservation on plums and peaches). The uptake of trace elements will be optimized by the synergistic effect of humic-trace materials as well as by complementary inputs during cultivation. Magnesium and calcium are elements to be monitored in the event of deficiencies (foliar analyses) which can lead to physiological disorders (Bitter-pit, apple-pear). The high sensitivity of fruit crops requires a regular and accurate maintenance of the systemic behaviour of the soil. 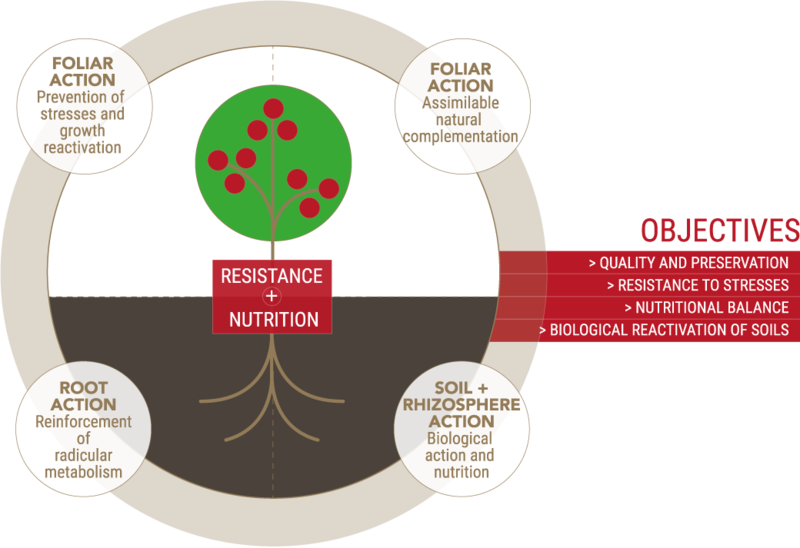 The rhizosphere is at the heart of the nutritional balance soil / microorganisms / plant guaranteeing the performance and robustness of crops in a context of preservation of the environment. 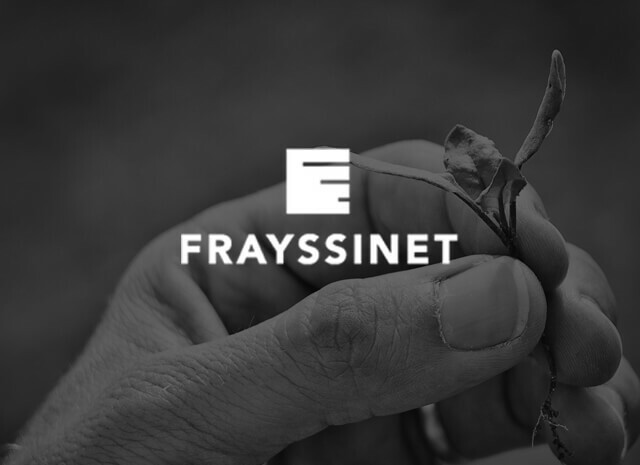 Frayssinet has developed the NSP concept (Nutrition and Stimulation Program) centeredon 3 targeted actions (soil-root-foliar) in order to activate the soil-plant interface: the rhizosphere. This program recommends the use of products of natural origin (solid organic fertilizers and liquid-complementary stimulators) involved in the improvement of physiological mechanisms (mineral and water feeding) and plant resistance (aerial and root systems), in particular in stress conditions. NSPs have been experimented on different soils and crops, test results show a better growth of trees and improved fruit yield even under severe stress. These results can provide a better understanding of the interest of ecosystems (soil, root, plant) and their synergistic actions in order to safely recommend NSPs (Nutrition and Stimulation Program) tailored to the agronomic balance, production objectives and sustainable protection of the crop.